Henry "H. G." Picard won the 1939 PGA Championship at Pomonok Country Club. 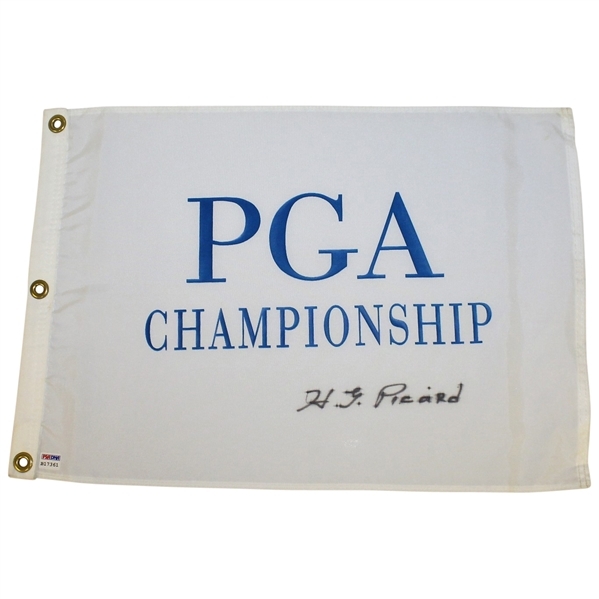 Picard defeated Byron Nelson on the 37th hole to claim the title. Offered here is an undated PGA Championship flag featuring Picard's signature in black marker, certainly one of the few existing examples of this challenging Major winners flags. 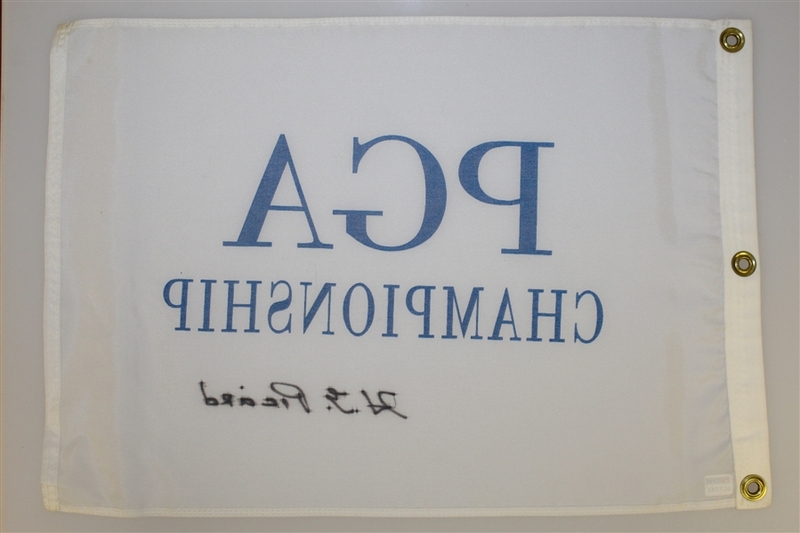 Picard passed away in 1997 just as the single signed flag craze came into vogue in golf collecting. 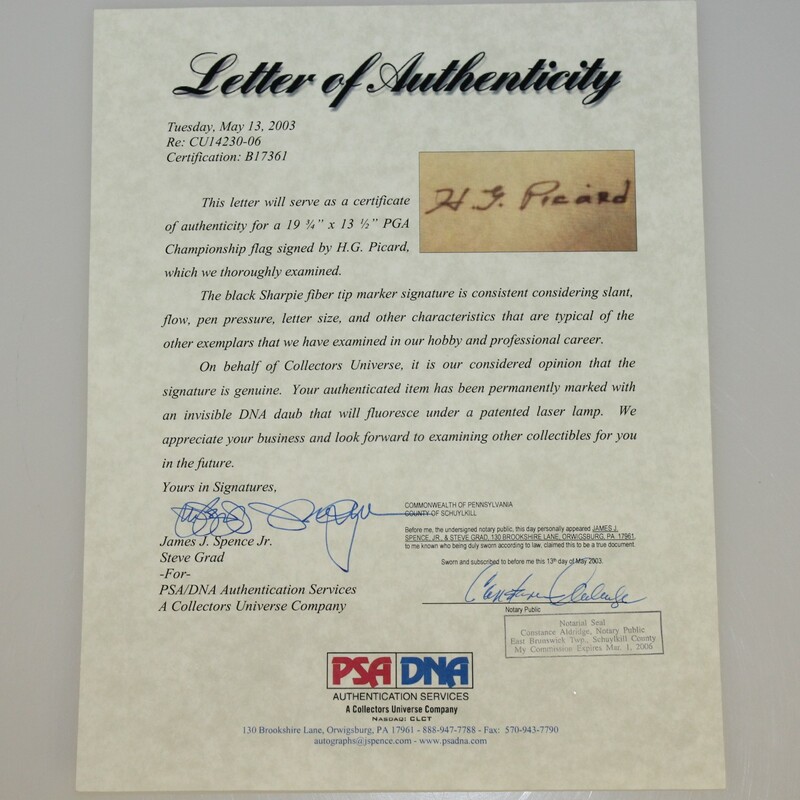 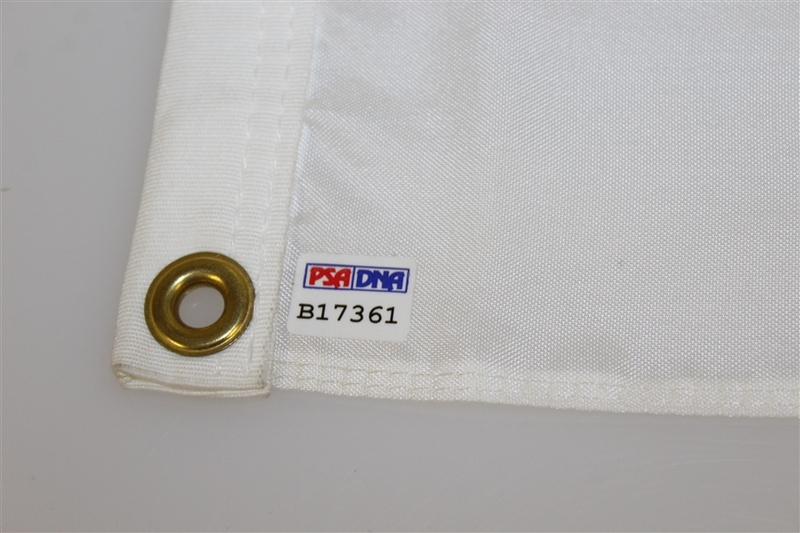 His signature comes with PSA/DNA authenticity #B17361.